At this very moment, FXX is about halfway through their Every Simpsons Ever Marathon, and I am already worried about what I’m going to watch when it ends. Those friends and I are part of what can be called The Simpsons Generation, because this is our show. We watched it as children, and obviously can still enjoy it today. There aren’t many shows that i can say that about. I mean, I can watch reruns of Seinfeld and still laugh, but I pretty much have memorized all nine seasons of that. I can watch old cartoons for the nostalgia factor, but I don’t enjoy them in the same way i did. You could say that watching the first season of The Simpsons is nostalgia, but it’s different because you can see how it has changed, you can see how you’ve changed, and you can laugh at the ridiculousness. I can see now why people from my parents’ generation talked about M*A*S*H and shows like that with such reverence. But The Simpsons, with 78 Emmy nominations and 31 wins, and even an Academy Award nomination in the Animated Shorts category, still trumps them all. But I never even realized how much of an an impact a silly, animated show had on my life, and what a fan I really was, until now. The good news is is it’s not too late. I have six more days. 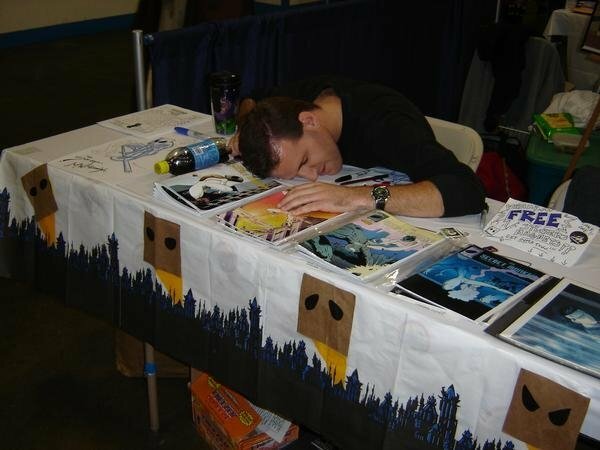 I touched briefly on it in my last post, but as I am just a couple days away from manning the table at my first comic convention in almost ten years, I was thinking a lot about how much has changed over all those years, and how much hasn’t. One aspect of the business that comes to mind is that, while it’s easier to make your comic these days, like I did with the help of Kickstarter and Print-On-Demand services and being able to find collaborators online, it is also harder to stand out from the thousands of other people who have done what I have. 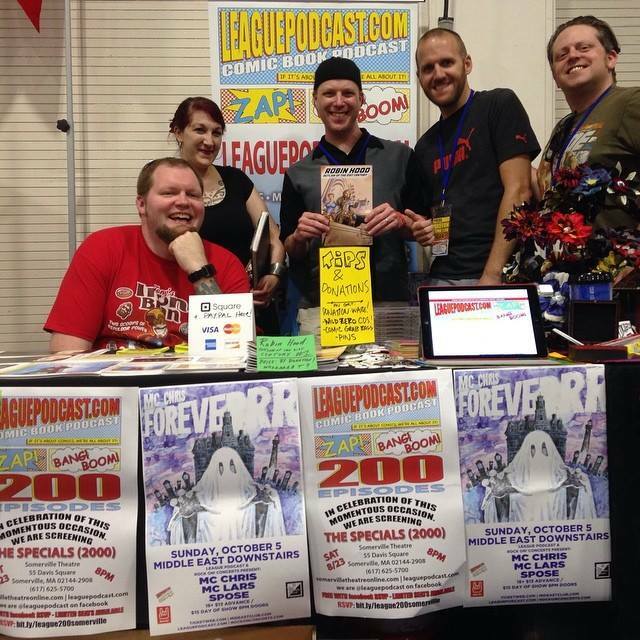 Years ago, when John Hunt and I were doing the Secret Monkey as a comic, there were a lot of independent comic creators, for sure, but we somehow managed to spread the word better by handing out bags with our own Mad Libs in them at conventions than I have in 2014 for Robin Hood with Facebook and Twitter. There’s just too much information out there for anyone to notice one comic book that is available in one store (and online!!!) Maybe I need to come up with Robin Hood Mad Libs. Another thing that comes to mind is how creators get people to buy their comic. The best sales tactic I can remember came form a gentlemen who created a book called My Monkey’s Name is Jennifer named Ken Knudtson. Ken would pour you a shot of Vodka if you bought his book, so I would naturally seek him out at every big con I went to back then, because how do you get through a con without a little sumpthin’. So, as you can see, it worked like a charm. I don’t even know if Ken is still making comics, but if so, I hope he’s coming to Boston this weekend! But, if you’re someone who doesn’t want to hide a handle of vodka underneath your convention table, or can’t really afford to buy a handle of vodka for every convention, how do you get people who don’t know you to care and give you money for your book? No, really. I need to know. Because even after our mad Lib wave died down, we tried selling books at cons, and I remember giving my pitch to people for long minutes, and they seem interested, and they flip through, then decide it’s not worth it and walk away. I’d rather you treated me like those protesters who are looking for you to sign their petition out on the street and run in the other direction than have me do my spiel for five minutes and then decide you don’t want the book. There are different kinds of people who will buy it, though. Some are banking on the fact that your book will become the next Walking Dead and they can send their kid to college because they have a signed first printing of Robin Hood #1. That is highly unlikely, of course, but hey, their money is good here. There are those who hear the spiel and genuinely think it’s a cool concept and decide it’s worth a read, and those people are really awesome in my book. However, my favorites are those who know and love comics, and want to support the little people in the industry. They know how much work went into your book, and they want to show you their appreciation by forking over a few dollars, and hey, if they like it, they might seek out your second issue. Those are my favorite because they come to the con with money in hand, and they are willing to spend it, and they are just about the least pretentious and unapologetic people you will ever meet. They just love this stuff and they appreciate what you are doing so much, that they will support you in any way they can. One of my favorite convention-selling stories was at an independent comic expo, and my friend was approached by a creator who handed him a comic, saying, “Hey, check this out!” Thinking it was a free sample, my friend thanked him and started to put it in his bag, until the creator said, “Uh, that’s three dollars.” My friend then reluctantly took out his wallet and handed him the money. He’s a much nicer guy than me. It’s sad how little sympathy I have for my fellow creators sometimes. But in all seriousness, I guess he felt like that was what he had to do, and that is part of the problem. How else do you get noticed? Personally, I am so fearful of being like that guy that I go completely to the other extreme and thus, have barely sold any copies of Robin Hood, with the exception of my Free Comic Book Day signing, where I was the only game in town that day.